Braceys Builders Merchants was established as a family based business in 2000. We supply both to the trade and public. We are always happy to offer expert advice on any building matters. Helping our customers by not just providing a great range of products at great value prices, but listening to their needs! Our new Patio and Tiling Centres offer the very latest products, complete with installation, with more exciting new ranges due over the coming months! WHY CHOOSE BRACEYS THE FRIENDLY BUILDERS MERCHANTS? 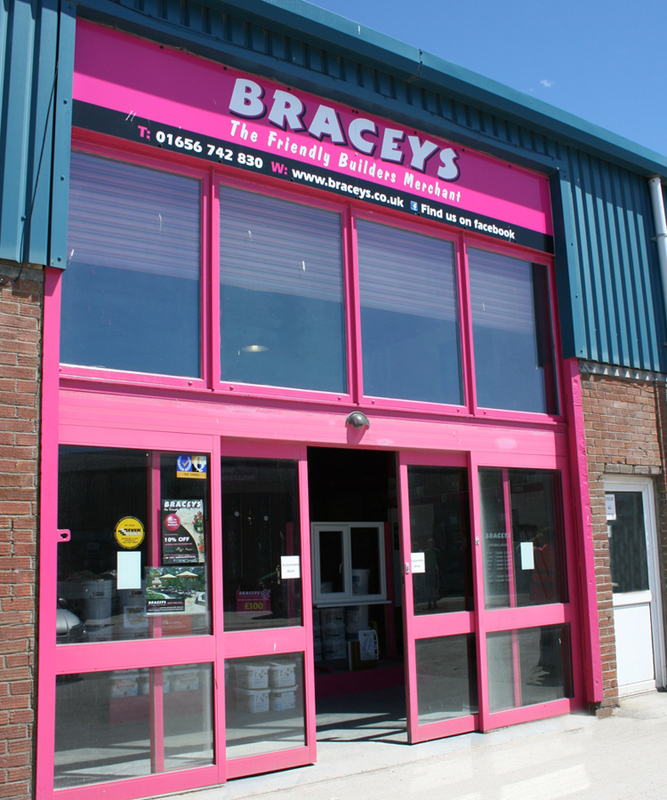 Braceys Builders Merchants was established as a family based business in 2000. Believing strongly in our philosophy of being ‘The Friendly Builders Merchant’ we guarantee the same service for the general public as experienced builders, always priding ourselves on our approachable nature whilst offering expert advice from real people. Today the company has become a fast growing and highly respected builders merchant that employs over 60 local staff many who have worked with Braceys for over ten years. Running a fleet of over 15 delivery vehicles and with sites in Cornelly and Miskin there is constant supply of products whether you want to visit a Braceys site or have your order delivered straight to you. The wide range of stock and expertise, ranging from bricks and masonry through to timber and landscaping makes Bracey’s the number one choice for your building materials. Operating from two sites – Porthcawl & Miskin. Manufacture a full range of blocks. Customer focused and friendly staff. Employ over 60 local people. Run a fleet of over 15 vehicles. Garden Centre and Landscaping Displays. Daily deliveries and open 7 days a week.